The Opera is a cosy and fabulous Brussels Hotel. It is ideally situated within the center of the historical centre of Brussels. I really loved the location and how straightforward it was to use as my house base for seeing the city. The individuals at the front desk were courteous and very helpful. Breakfast inside the morning was great and the facilities were nice if a bit small. The location was great. It was just steps from numerous pubs and restaurants including the delirium bar complex, one of my favs. Good affordable hotel, Central location, 24 hour reception and secure in room which is good. Only annoying thing is that they didn&'t clean our room soon after our first night which is one thing I would expect of a hotel. I had a great sleep here and we were fairly loud and had pals come into the room and they were cool about it. I&'d recommend if u just want a basic base for a short stay. Location Location and one much more time location! It is in fact very central and you don&'t have to worry about learning the maps of public transportation - walked everywhere! It was quite perfect. Fantastic breakfast, very nice staff, safe, clean, quiet, fantastic location, affordable price compared to the competition. What else can I say! Also, superb wireless (unlike a lot of of the other hotels we have stayed at during this trip). We showed up early but they checked us in right away. Great bathroom, very good beds. Location is extremely central. 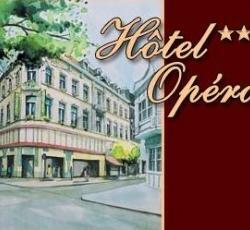 * Hotel Opera Brussels rated 4.22 out of 5 based on 9 customer reviews. Hostel reviews with a star rating are sourced from HostelBookers. If you find Hotel Opera Brussels with the same booking conditions at a lower rate somewhere else on the internet after you have booked, we will refund you the total difference.